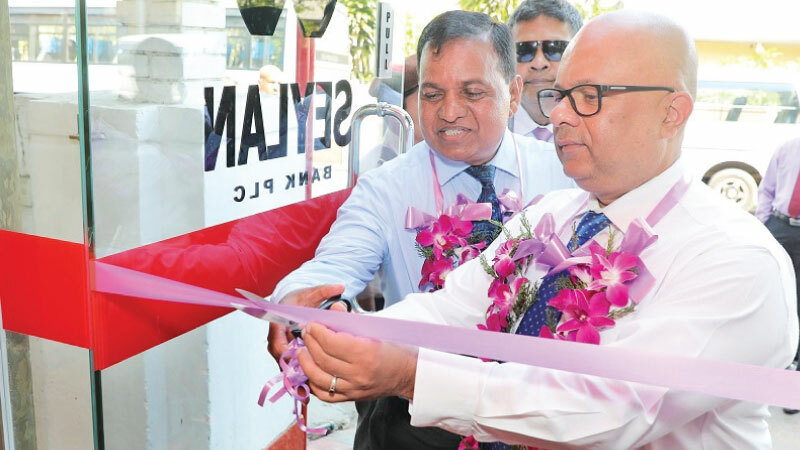 Malik Wickramanayake, Deputy General Manager Operations at Seylan Bank, opening the newly established off-site ATM at Mt. Lavinia. With a strong focus to offer cutting-edge banking services, Seylan Bank unveiled its latest Off-Site Automated Teller Machine (ATM), at the Angler Restaurant in Mt. Lavinia, recently. Located at the heart of Mt. Lavinia, the new Off-Site ATM will enable customers who are in the vicinity and people who visit the famous coastal belt in Mt. Lavinia to withdraw cash conveniently 24 hours a day and 365 days a year. Seylan Bank, operates with a vision to offer the ultimate banking experience to its valued customers and is evolving rapidly with new technology, innovative products and services to set a new benchmark in the banking sector. The Bank has expanded its footprint with 171 branches across the Country and boasts of an ATM network of over 210 units covering crucial locations. Seylan Bank has a growing clientele of SME, Retail, and Corporate customers and has been recognised in the global arena for its service excellence.